Lasting Rose » Home » Tamil » Is Sonia Gandhi a Real Indian Saint Accused as an Italian Carpet Bagger? 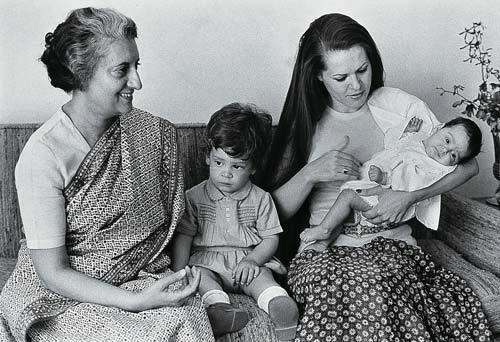 Few women in history had to undergo a life as dramatic as that of Sonia Gandhi, the Italian born Chair person of the United Progressive Alliance, which had been governing India for the last 7 years. In fact, the personal and emotional turmoil Sonia was forced to face on account of her own personal choices are harsher than those experienced by many of India's great saints. Today, Sonia Gandhi, like her countryman Caesar, had to do the ultimate sacrifice by taking a double stab for the sake of India, a country of saints, which must earn her sainthood. In a single speech, Sonia had to acknowledge the cause of the Tamils who murdered her husband for their cause and denounce Italy, her country of birth which is in a dispute with India, a country she has adopted. Many in India believe, based on the western media which has proclaimed her the 4th richest politician and powerful woman in the world, that Sonia is a corrupt foreign intruder, out to destroy India. Her detractors however cannot explain what she and her family are doing in the heat and dust of Delhi, leading a frugal lifestyle, rather than basking on a sunny Mediterranean Island if she owns billions. 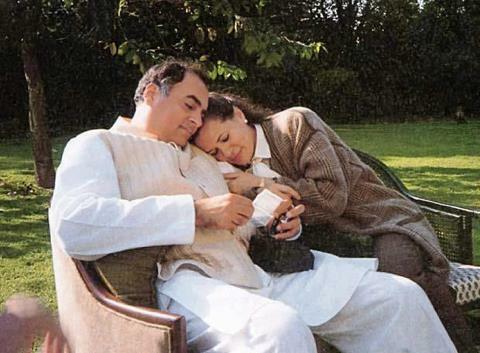 Not a lot is known about the circumstances in which Sonia met Rajiv, the scion of the Gandhi family and agreed to marry him despite great cultural and social differences. For a young Italian bride, hardly aware of the prejudice and taboo of archaic India, the very thought should have given nightmares. Yet, to the credit of the young Rajiv, who made good on his promise and took her home, it turned out to be a story of great romance, sacrifice, tolerance and a great Indian tradition of welcome and acceptance of foreigners as their own. No one called Sonia an Italian waitress at that time. If anything, it is a measure of how much the Indian society has reneged in to narrow minded nationalism and its insecurity that, fanned by parochial politics and ill education, Sonia is often referred to as an Italian waitress, especially on the social media. In a country where hardly any work is respected and students, pampered by parents, never have to work to pay for their own education, it is relatively unknown that if you visit Cambridge, the waitress who serves you could be a student of the great university, though Sonia was just a language student. If you are the leader of the ruling alliance, it is doubtful which Indian will stand being abused like that. Oh My God! My Mother in law is shot and dying in my lap! Not many women had to cry that out to themselves, except during the wars. When you are close to the pinnacle of power and personal security is something one takes for granted, the enormous shock of something like the assassination of Mrs Gandhi is not something many Indian women would have taken. Instead of fainting herself, Sonia had the courage and presence of mind to carry and rush her to the hospital revealing the innate strength of her personality to face toughest of situations in life. However, no can correctly fathom the personal trauma the family had to undergo, though the anger of the collective nation against the Sikh community who members committed the assassination and the angst of the world on that day will never be erased from living memory. Yet, when the time and need arose years later, Sonia showed no compunctions in renunciation of the power of the Prime minister and in foisting a very deserving Dr Man Mohan Singh, a Sikh, to that position without batting an eye lid. There aren't many saints who can be credited with much lesser personal sacrifice. It is your husband madam, in the bag! Lightening strikes once in many peoples lives. But in the case of Sonia it struck twice, with the assassination of her Husband Rajiv Gandhi by the Tamil militants of neighbouring Sri Lanka. 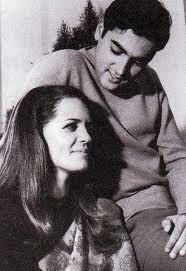 (One might say it struck thrice with the accidental death of Sanjay Gandhi, her brother in law and brother of Rajiv). Not many women had to welcome husbands literally in parts, in a body bag. Not many people can even take a guess of what might have gone through the mind of Sonia Gandhi on that fateful day, especially about the Tamil terrorists who sent her husband in smithereens. Still, over the years, Sonia and her children have publicly come to terms with the Tamil Elam issue and, Sonia's daughter Priyanka has even visited the culprits in prison, in a sign of conciliation and forgiveness. It is a real tragedy that despite all that, Sonia Gandhi, as the chair person of the ruling alliance has to undergo the political brinkmanship of an alliance partner, who has decided to leave in support of the very Tamil issue which took her husband's life. The fact that Sonia Gandhi had to take the brunt of the political manipulation of a party who was the sole source of corruption charges which put her own Congress party in great difficulties and stalled her programmes for the poor of the country is a real personal tragedy, only compounded by the fact that they stand for her husband's assassinators. What can you call this lady who perhaps is bearing a cross heavier than the one Jesus himself carried? If all that is not enough, Sonia has finally put an end to "You are Italian" cry of hysteria of the Indian masses, heightened by the recent diplomatic stand off between India and Italy by publicly warning |Italy not to take India for granted. The fact that, Italy actually has case in its favour against India, from the fact that its marines were just doing a job protecting from Somali Pirates, in international waters, makes Sonia's sacrifice even more adorable. No woman of any country ever had to take such a stance against her country of birth for the sake of the country of her dead spouse. History will no doubt one day record that as the perfect love of a leader for her people, worthy of sainthood, though the current generation of Indians can't see because they refuse to see. Join this online social communitiy policing initiative that focuses on police building ties and working closely with members of the communities.